Blend bananas and almond milk in blender. Pour into shallow large bowl. Add a tablespoon of coconut oil or butter to skillet. Dip slices of bread in banana mixture and let it soak up for 5 minutes on both sides. Add drenched bread to skillet until browned on both sides. 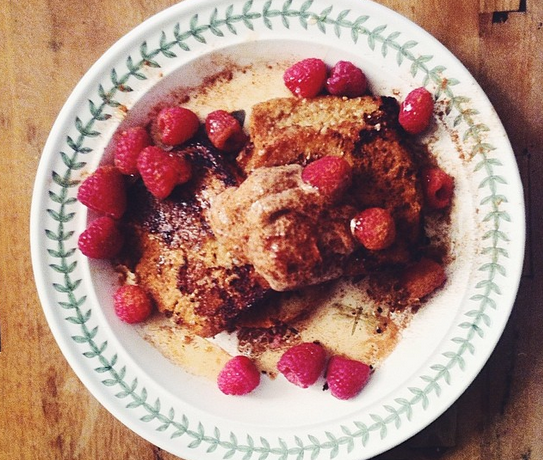 Garnish with cinnamon, berries and a dollop of almond butter. Add maple syrup and enjoy!